You will find some of the same equipment in this Hire section a fraction of the cost of buying the equipment from us, we found from past experience that some commercial party equipment was not suited for the baby/ toddler parties as the chemicals used was not deemed safe for parties for young children. With this in mind we have set out and have sourced the most safest smoke/snow/bubble solutions available on the market so you can rest assure the chemicals we supply are of the highest standard. Please Note: This is for a hire period only, you can only hire these items along with one of our mascot costumes, there is no postage charge for these items as they will be sent along with the costume. simply add this to your shopping cart after you have chosen your mascot costume. there is a additional £10 deposit on top of the standard costume deposit for each Machine you wish to hire. 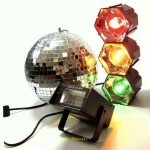 Six Roulette Disco Lights with Sound Activation Great For any Disco Party Or Oc.. HIRE ONLY!!! Simply fill the front tray with bubble fluid and turn the machine on for hundreds of.. HIRE ONLY!!! 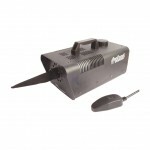 Compact snow machine ideal for parties for the festive season and beyond Featur.. HIRE ONLY!!! 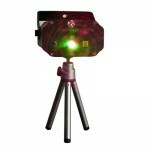 This affordable 3-piece light set is perfect to put birthdays or festive celebration..
Mini Adjustment DJ Music Active Stage Laser Club Bar Lighting Star Sky Projector ..